Ironhack is a global web development bootcamp with locations in Madrid, Miami, Barcelona, and now Paris! We spoke with Ironhack’s General Manager for France, François Fillette, to learn more about their new Paris campus, launching June 26th. 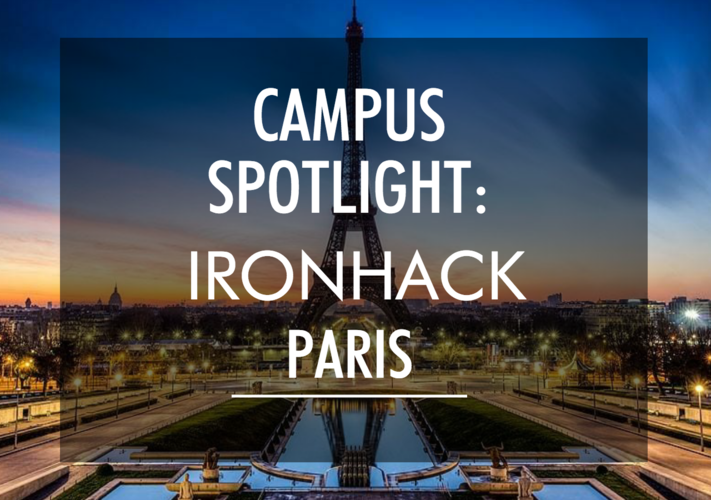 France is the second largest tech ecosystem in Europe – learn why Ironhack chose to expand to the area, read how the bootcamp will stand out from the rest, and see what resources are available to become a successful bootcamp grad in Paris. First, as the France General Manager, tell me how you’ve been involved with the new Ironhack campus. Sure! As a General Manager, I have been involved in all the dimensions related to the new campus – finding an amazing place for our students, recruiting a team of A-players, setting up the docs and processes and so on. I have been working with Alex, our Head of International Expansion, who has been tremendously helpful. We have worked super hard over the last few weeks to make sure that our Paris campus will be on the same standards as the others. What’s your background and how did you get involved with bootcamps? What drew you to want to work with Ironhack? I was coming back from San Francisco, where I was working as VP of Strategy and Business Development for CodinGame. One of my VC friends told me that Ariel and Gonzalo (the cofounders) were looking for someone to launch Ironhack in France. I met the two of them and immediately embraced their vision, and got impressed by their ability to execute fast and well. I got super excited by the project and the team, so a couple of days later I was in Miami to work on the strategy and the launch plan for France! It’s been 3 months now and honestly, I’ve never been happier to wake up in the morning and start a new day! Ironhack is launching their Paris campus on June 26th. 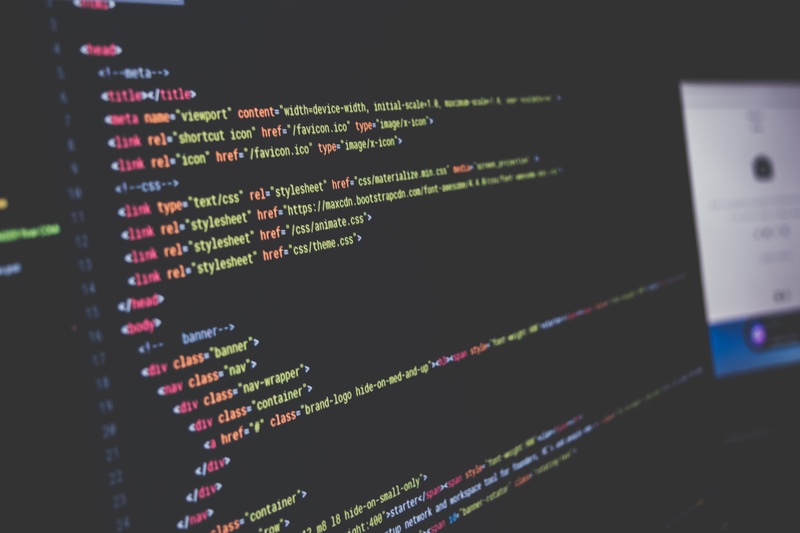 Why is Paris a great place for a coding bootcamp? Could you explain Ironhack’s motivation to expand there? In terms of funding, France is now the 2nd largest tech ecosystem in Europe, right after England. Over the last 5 years, it has grown exponentially and is now one of the key tech hubs in the world. Take Station F for instance – thanks to Xavier Niel (cofounder of Free), Paris will now have the biggest incubator in the world. 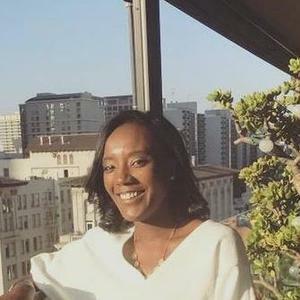 That growth has fueled an increasing demand for new skills in the tech economy and the talent shortage is not filled by the traditional education players. There’s an amazing opportunity for us to expand here and we’ll do everything we can to reach our targets. There are a few other coding bootcamps in Paris. What will make Ironhack stand out amongst the competition? Let’s discuss the Paris campus. What is the classroom like? What neighborhood is it in? The campus is located in the new space opened by WeWork. It is located in the 9th arrondissement, near the Paris Opera. It is accessible via 3 metro lines, 8 bus lines, 2 bike-sharing stations, and 2 car-sharing stations. It will be open 24/7 for our students. The place is absolutely magnificent, both in terms of design and community. Students will enjoy a large classroom close to the patio, and meeting/working rooms to complete their projects and assignments. What web development and UX/UI design tracks or languages are you teaching at this campus and why? Are the ones you’ve chosen particularly popular or relevant in Paris? How many instructors and/or mentors will you have in Paris? We’ll have a lead instructor, who is a professional developer and highly involved in the open source community. He has several years of experience in startups and IT services agencies. He’ll be assisted by a TA, who is a bit more junior, but passionate about education and teaching students. Plus, we’ll have a network of 15-20 mentors to help and coach students, for coding as well as for management. Mentors will be chosen based on the projects of the students. Also, the students of the first Web Development session will be sponsored by Florian Jourda. Florian was the 1st engineer at Box and scaled their dev team from 2 to 300 people. He spent 8 years in the Silicon Valley and is now Chief Product Officer at Bayes Impact, an NGO funded by Google that uses machine learning to solve social problems like unemployment. How many students do you usually have in a cohort? How many can you accommodate? For that first cohort, we plan to have 20 students maximum because we want to make sure we provide the best experience. That will ensure a strong monitoring of students, as well as a perfect operational execution on our side. For the next cohorts, we’ll increase the number of students, but we won’t go above 30 and we’ll recruit 1 or 2 more TAs to keep the same quality. What kind of hours will students need to put in to be successful? Students often ask that question and it’s always hard to answer. Everything depends on their learning curve. On average, students work between 50 to 70 hours a week, mainly on projects and assignments. But we’re fully transparent on this – you can’t learn real hard skills and get a job in 3 months without fully dedicating yourself. We make sure that the atmosphere is as good as it can be so that students won’t see time passing by! How is your campus similar or different to the other Ironhack campuses? I think that our campus is pretty similar to Miami’s. We are located in an amazing coworking space, in a very nice neighborhood and with lots of startups around. The main difference would be our rooftop on the 8th floor of the building, where we regularly organize events and lunches. How are you approaching job placement in a new city? Does Ironhack have an employer network already? Job placement is one of the elements we tailor to the local realities and needs. We have already partnered with +20 tech companies, such as Drivy (world leader in peer-to-peer car rental), Jumia (the equivalent of Amazon in Africa and Middle East), Stootie (Europe leader in peer-to-peer services), Kima Ventures (VC fund of Xavier Niel, with +400 portfolio companies), etc. Usually, they are large startups (from Series A to Series D) looking to hire web developers. As a GM, it will be part of my job to support and help students accomplish their professional projects with our employer partners. What types of companies are hiring developers in Paris and why types of companies do you expect to hire from Ironhack’s Paris campus? I think there are 3 types of companies that could hire web developers who graduated from Ironhack – corporations in Telecom/Media/Technology, startups (from Series A to series D) and IT services companies. The demand is really intense for the last two options, as they’re looking for people mastering the latest technologies, in high volumes. Based on the enthusiasm they’ve expressed when talking with Ironhack, we know they’ll be great recruiting partners. What sort of jobs have you seen graduates get at other Ironhack campuses and what do you expect for Ironhack Paris graduates? Do they usually stay in the city after graduation? Based on the metrics of other campuses, usually, 50-60% of people join a startup as an employee (a Junior Web Developer, Project Manager or Growth Hacker). 20-30% create their own startup after the course, while 20-30% become freelancers, usually in Web Development, and work on a remote basis. We’ll have a good share of students who are not from France originally, so we think some of them might leave Paris after the course. But we’ll help them find the right opportunity abroad and we’ll keep constant interaction with those students. What meetups or resources would you recommend for a complete beginner in Paris who wants to get started? Any final thoughts that you’d like our readers to know about Ironhack Paris? We want to build something that is nothing like what exists in Paris. In 3 months, you’ll be operational in Web Development, you’ll meet awesome people (students, mentors, entrepreneurs) and you’ll accomplish your professional project. Send us an email to know more at paris@ironhack.com. We have a few seats left for the session starting on June 26th. Next session will start on September 4th. If you want to apply, just send us your application through this typeform. Read more Ironhack reviews and be sure to check out the Ironhack website!